Do you enjoy your beautiful lawn and landscape but absolutely dread fertilization and weed control tasks? It is only normal, as such recurrent activities need knowledge, experience and skill. They are time consuming and stressful especially if you use shelf-bought substances. Besides risking burning the soil and damaging the vegetation and edibles, you can also render the lawn unusable and unhealthy for children and pets. Fertilization and weed control represent science at its best, as they find their foundations in chemistry, horticulture, botany, agriculture and environmentalism. And because one cannot work without the other, our lawn care Southlake TX specialists are here to give you a hand! The good part of fertilization and weed control programs is that they strengthen the soil and boost the roots’ resilience to weeds, heat and pests. The stronger the vegetation is, the less powerful weeds become. On the other hand, the bad part of fertilization and weed control is that improper practices can damage the lawn, burn the soil or turn it too acidic, damage the vegetation and kill beneficial insects and plants. Some chemicals are so noxious they can endanger the health of your children and pets. This is why you should have our lawn care Southlake TX specialists take care of this issue for you. We developed and fine tuned a 7-Step fertilization and weed control program that became an industry standard. The program involves treatments and applications once in 5-7 weeks to boost your landscape’s health and looks and keep weeds at bay. In correlation, we also perform regular checkups to make sure the weeds haven’t returned. 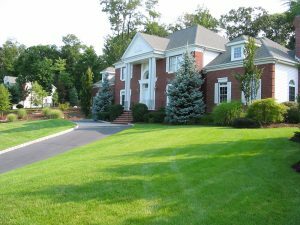 We tailor the program to make sure the applications don’t clash with the seasonal weather and climacteric conditions and find alternatives to further protect your lawn. We also use a blended organic / chemical program to lower the impact of chemical use and abuse and ensure the thriving of everything living in the micro-ecosystem of your property. What Else Are We Able to Offer Related to Lawn Care Southlake TX Services? Being family owned and operated, we are fully invested in the community we serve for more than 13 years. This is why our lawn care Southlake TX services are implemented to treat each lawn as if it was our lawn, keeping in mind that one size doesn’t fit all. We are personally responsible for your satisfaction as a customer: wont deal with unfamiliar technicians or recurrent sales calls but you do benefit from free service calls. You don’t have to call us every time we have to perform an application, as we will respect the schedule and automatically come down your place to do our job. No hassle approach to customer service – no contract; free estimates; convenient online services; online payments or auto-pay setup; you can request or add new services; you can see our technicians’ service notes and so on. The best thing about our lawn care Southlake TX services is that they all come backed up by our Money Back guarantee: should you not be happy with our results, we will make it right or refund the price of your last application.